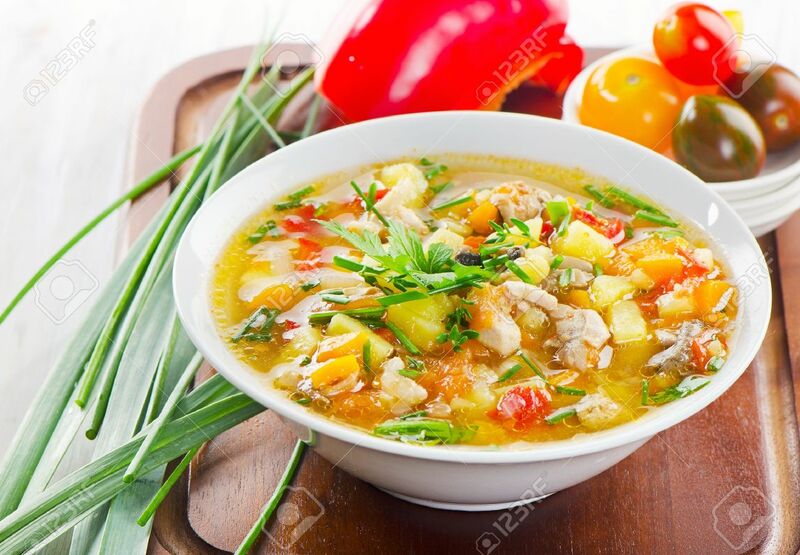 Bowl Of Vegetable Soup With Chicken. Selective Focus Stock Photo, Picture And Royalty Free Image. Image 21608300.